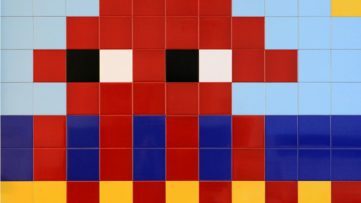 It’s very likely that at least once in your lifetime you’ve run into a piece by Space Invader, as his 3620 pieces can be found in a total of 76 cities worldwide. 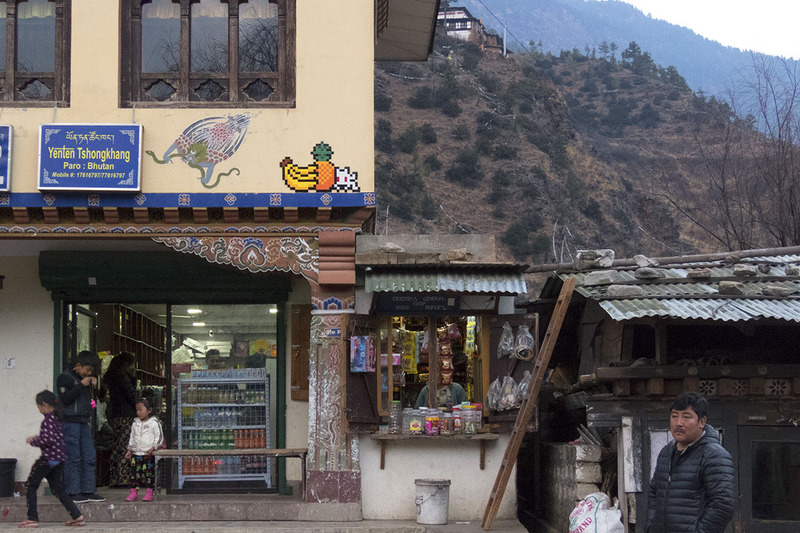 The newest additions to this impressive number of locations are Paro and Thimphu in the Buddhist kingdom of Bhutan, where the street artist left a few of his guerrilla mosaics. 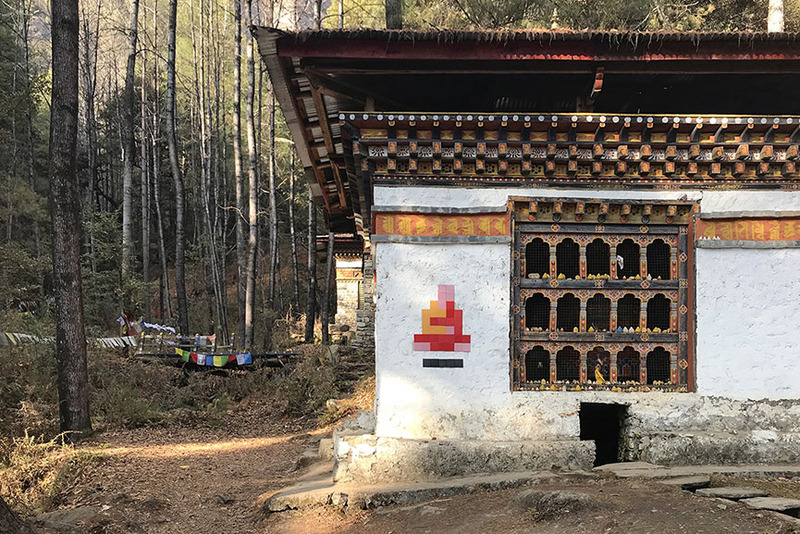 What turned this story into a news piece is that some of the artworks were installed on sacred sites such as monasteries, igniting a debate on whether this kind of initiative has gone too far. 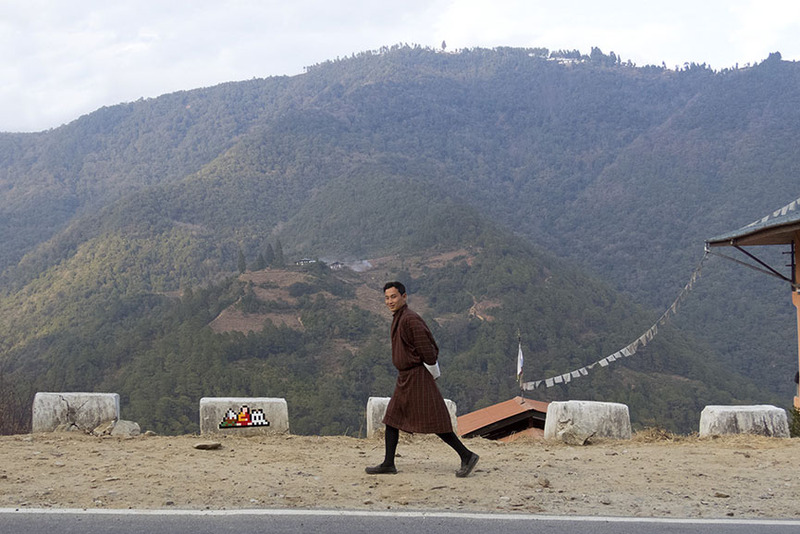 My first piece in Bhutan and my first piece inside a monastery  #cherigoemba #Timphu #mountains #spirituality #bhutan with the benediction of the monks ! 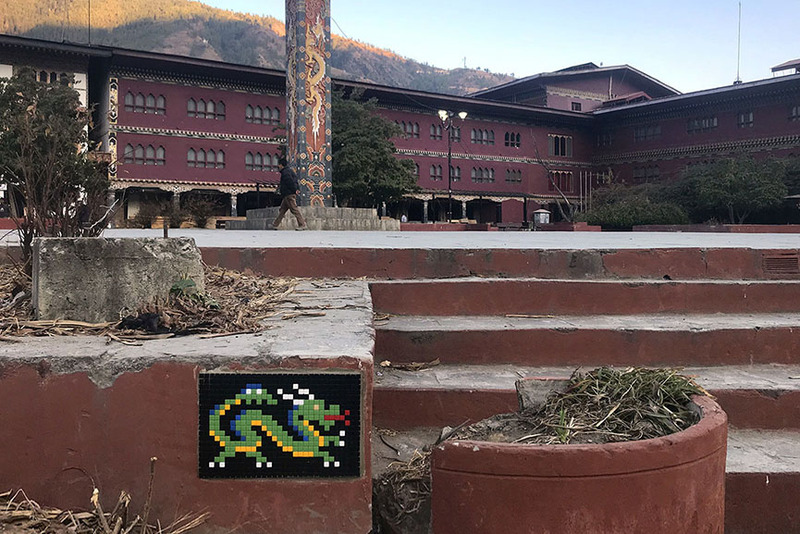 Over the course of the past ten days, Invader let his Instagram followers know about his visit to Bhutan, which apparently started with an artwork placed inside a monastery of Cheri Goemba in the mountains near capital Thimphu. ”With the benediction of the monks”, the artist placed a mandala-inspired mosaic next to what appears to be a wall drawing of the Buddha. 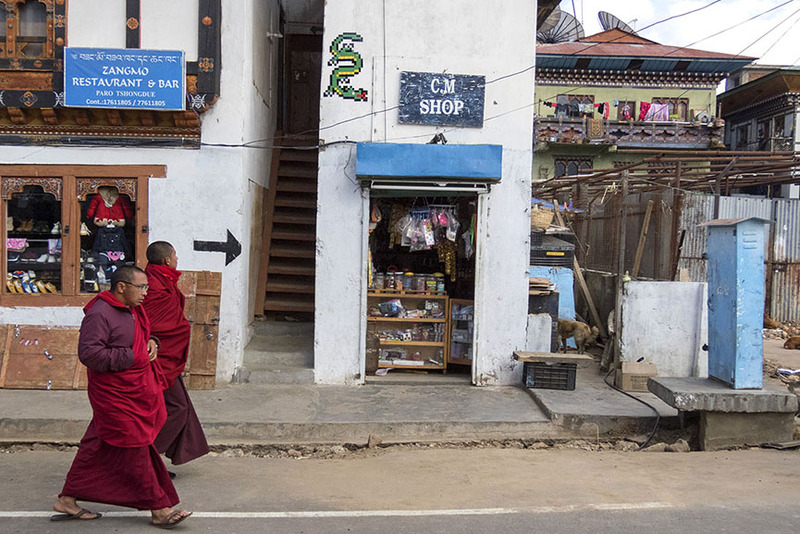 He then proceeded to install pieces featuring monks and dragons, drawing different kinds of commentary and discussions – because, according to artnet and an anonymous source, at least one of the works in Bhutan was created on buildings and sites marked with a red line – which indicates a sacred site. On January 30th, the artist posted a statement on his Instagram, saying he’s proud to have left his trace in the country. 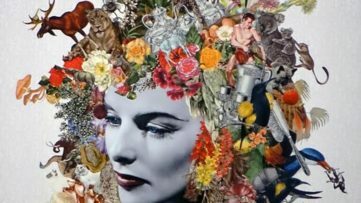 It is still unclear whether Invader had any sort of permissions to execute the artworks where he did, as he hasn’t yet commented on that, rather important, aspect of the story. Whether his art belongs in places like these or not is a matter that concerns those in connection to it, but it is certainly hard to imagine his pixellated graphics on sacred sites in, say, Europe or North America. 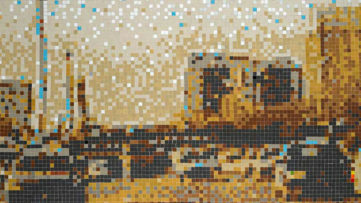 Featured images via space-invaders.com, used for illustrative purposes only.